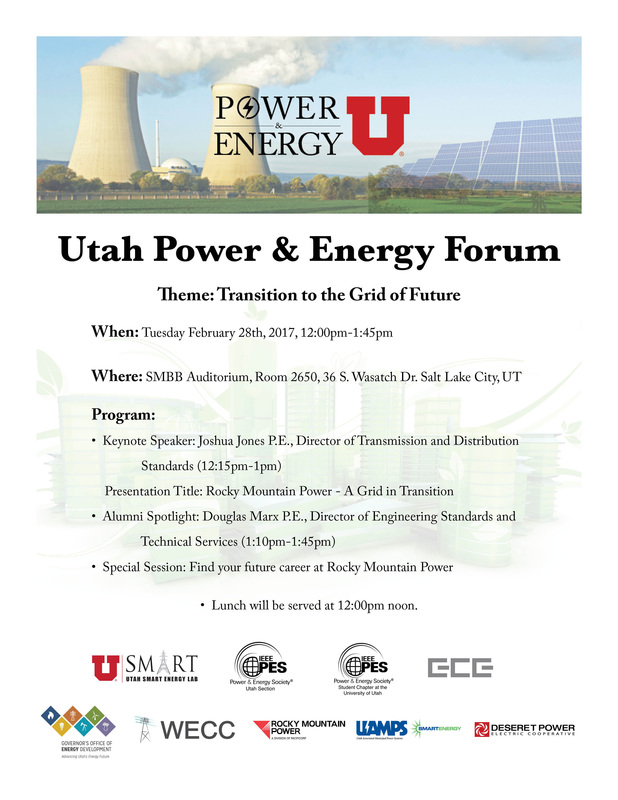 The U-Smart Lab in partnership with local government and power industry organizes quarterly Utah Power and Energy Forum. 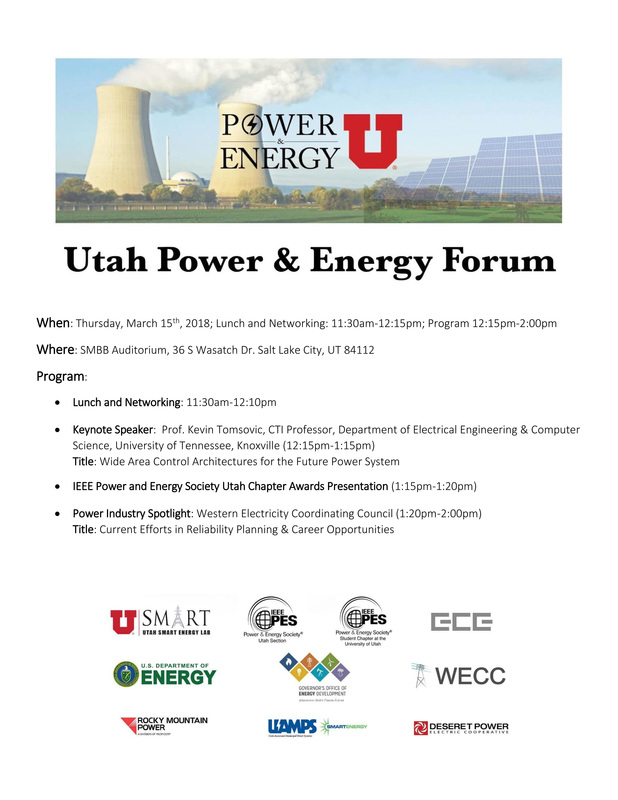 The event is co-sponsored by the IEEE PES Utah Chapter and the IEEE PES Student Chapter at the University of Utah. 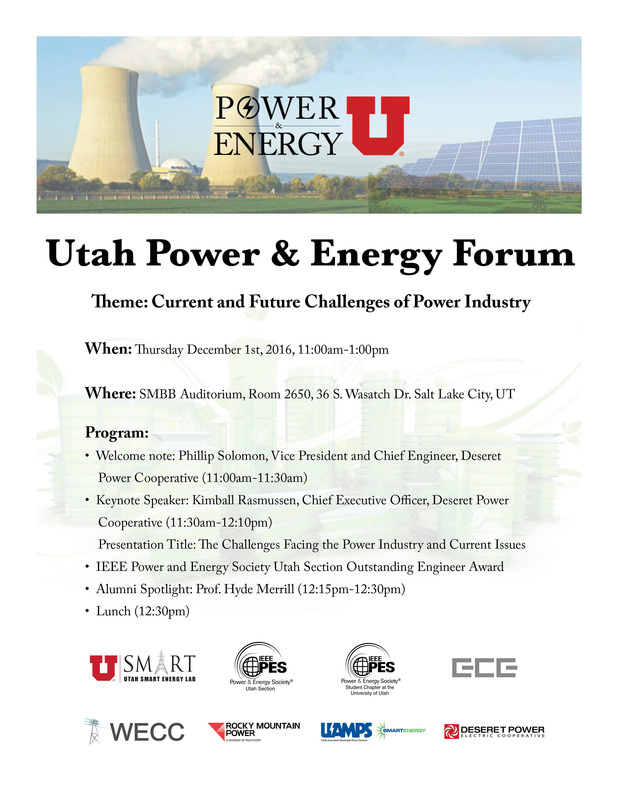 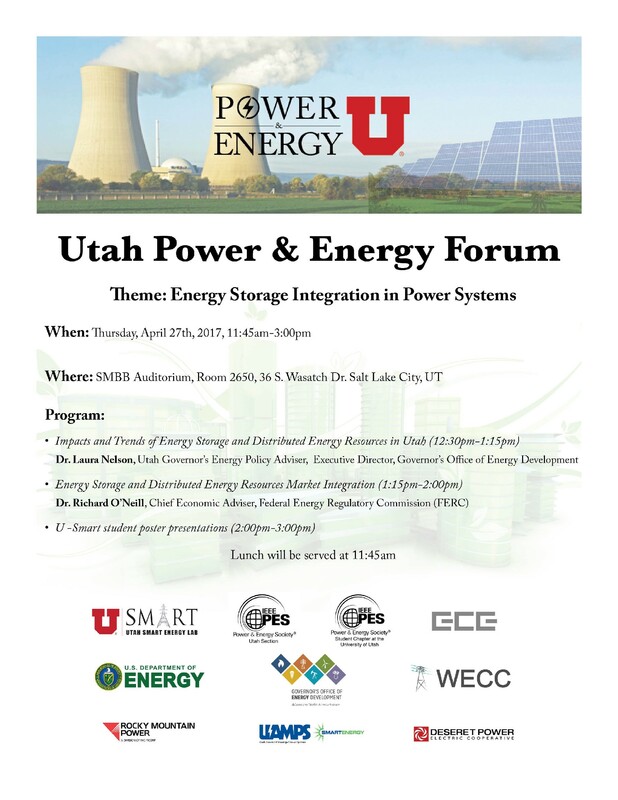 The Utah Power and Energy Forum is aimed at bringing together the experts from the power and energy industry, government and regulatory agencies, and the academic community in a common forum, for facilitating discussion and sharing the latest power system and electric grid related research and trending issues. The forum provide a platform for attendees to network, initiate partnerships, advance the dialogue and breadth of power and energy knowledge, academic pursuit, and activity in the state of Utah, and advancing education and employment opportunities for the students.